Order the handcrafted enclosed boards the experts call the best on the market! Where to you display the most important documents? Are they carelessly taped to walls or doors? 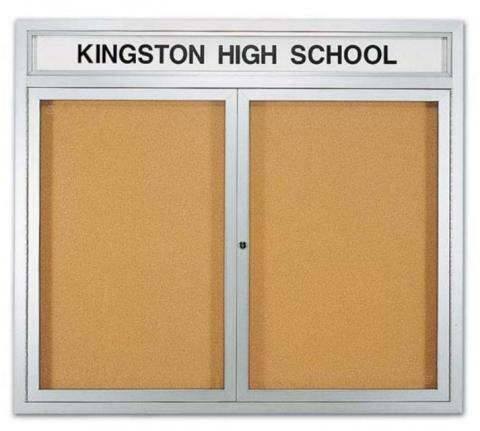 Protect your school's most valuable documents with the Bulletin Board Display. 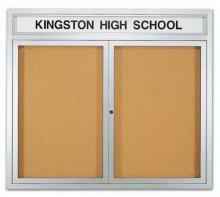 Tempered safety glass doors ensure that vandals cannot penetrate the Bulletin Board Display. We provide security in the form of a tumbler pin locking door that only trusted personnel can gain access to with a key. The continuous piano-hinged doors automatically shut, even if you forget to close the doors upon departure. 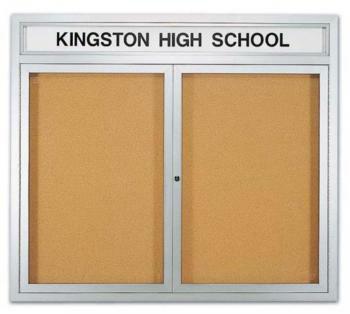 a six-inch header above the glass doors allow you to prominently name the Bulletin board Display. With a 3/4" depth to hold thicker documents, you have enough room to organize and display a number of important notices and announcements.